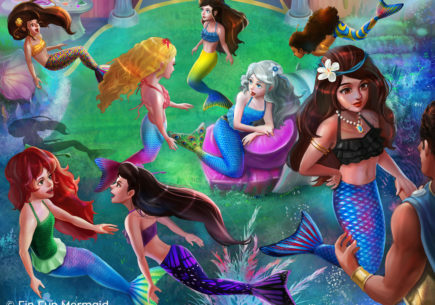 Older Girls Love Mermaid Tails, too! 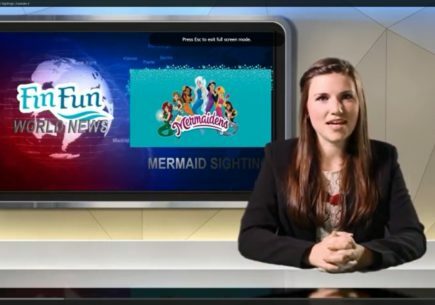 “Where was this when I was a kid?” was 13-year-old Lydia’s first reaction to Fin Fun’s mermaid tail. “It’s just cool. I like being a mermaid,” she said. Even though she is a teenager, she loves her mermaid tail. Most of her friends want to get one too. In fact, being older has its advantages. Teens are stronger swimmers. They can swim faster and perform more tricks with their monofin and tail. Emma, 15, says the mermaid tails and monofins are fun for every age and level of swimmer. She and Lydia also have a nine-year-old sister, but the teens believe they have just as much fun with their mermaid tails as she does. Maybe even more. And Emma definitely thinks strong swimmers have an advantage because they can do more. Lauren, 15, agrees with Emma. “I definitely think older girls can enjoy them more than younger girls because we are better swimmers,” she said after using a tail and monofin for the very first time. 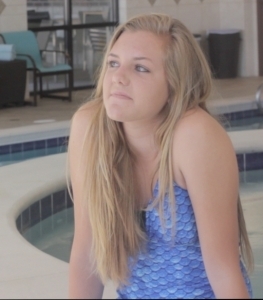 Her mother laughs that they live in Southern California, go to the beach once or twice a week all summer, spend a week at Lake Powell every year, and swim in their grandmother’s pool—and yet they come to Idaho and transform into mermaids! 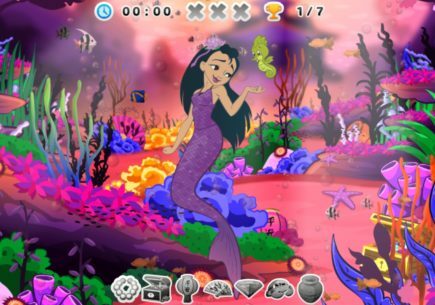 Lauren and her sister Lacey can’t wait to try the mermaid tails back home and show them to their friends. 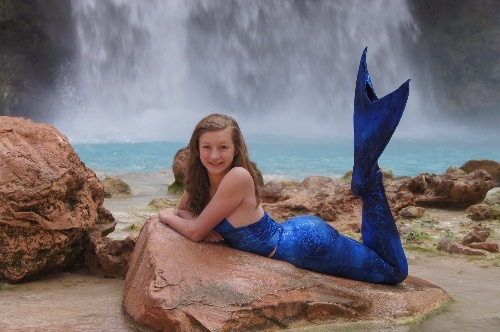 Lacey, 14, especially thinks most of her friends are going to jump on board and get mermaid tails too! 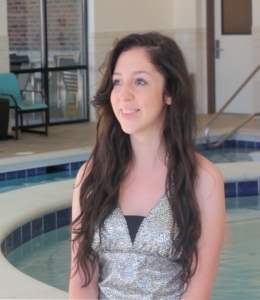 “I think every child dreams of being a mermaid and when they are older they still have that connection,” she said. When Rachel wears her mermaid tail to the pool, younger girls flock around her, asking if she is a real mermaid. Rachel mostly enjoys the attention, but occasionally finds it annoying. “Sometimes you just want to swim,” she said. She acknowledges that all people are different and a few might be embarrassed by the attention, while others might especially like the attention of being a mermaid. 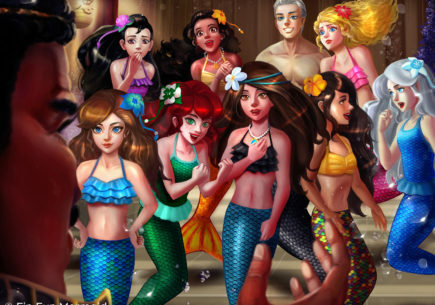 But no matter the age, all the girls agree transforming into a mermaid is a magical experience! I’m 13 years old and I have wanted a mermaid tail since my younger sister got a Mermaiden tail, the sunset one. I’ve been marveling over one for ages. I’m deciding to buy one, yet they’real so pretty. 1. I’m not really allowed to sew with needles. 2. I don’t have that much fabric/swimming fabric at home. 3. My parents won’t let me if there’s no adult watching me. I’m 14 (will be 15 in a few months) and I still love my mermaid tail. I was obsessed with H2O: Just Add Water when I was younger, and the spin-off show after that. 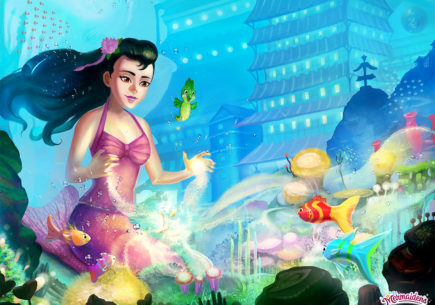 I dreamed of being a mermaid and tried all kinds of crazy “spells”. Well, I found Finfun’s YouTube channel and saved my allowance for months to buy the tail I wanted. I still swim in it sometimes, almost 3 years later. I’m going to buy my little sister one for her birthday, and maybe another one for myself (my old one is stretched and torn from using it all the time). I believe you’re never too old to be a mermaid. If it makes you happy, you should do what you want to do and not care what others think. I love to watch h2o just add water. I had a dream once of being a mermaid in the ocean swimming (I love to swim in the ocean). I wish I could have a mermaid spell. 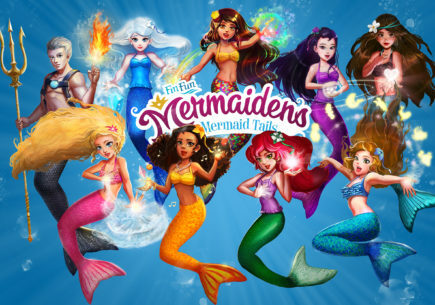 I really want a mermaid tail but you are so lucky cause I don’t have a mermaid tail, but I wish though. I’m not an older cooler kid, but I still have fun. I have just a monofin and it’s not finfun, but I just love it when I am at a pool and a toddler or younger kid sees me and their faces light up and ask: “You’re a real mermaid?” and here is a funny story; one time I was swimming, and I was swimming like a mermaid, and an adult, not just an adult, a grown up man thought I was a mermaid!!!!!!! 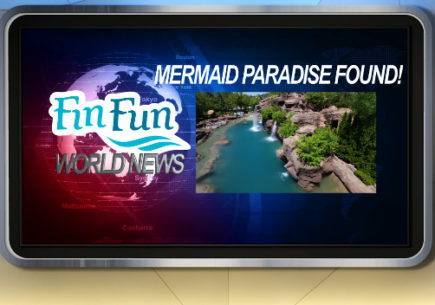 I LOVE FINFUN!